I took a short trip to Valley Green today to catch the sunshine on the snow, before too much traffic , melting, and the inevitable return to civilization turn everything that ugly grey that is the inevitable fate of old snow. 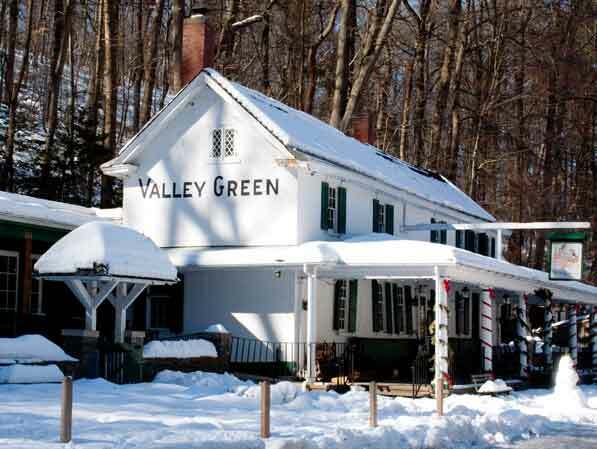 The Valley Green Inn was sparkling in the afternoon sunlight, but had very few diners on this Presidents’ Day. 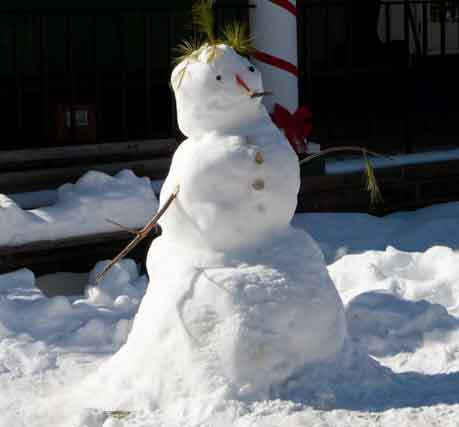 Someone did take the time to build a snow person in front of the Inn, however, adding a bit of whimsy to the scene. 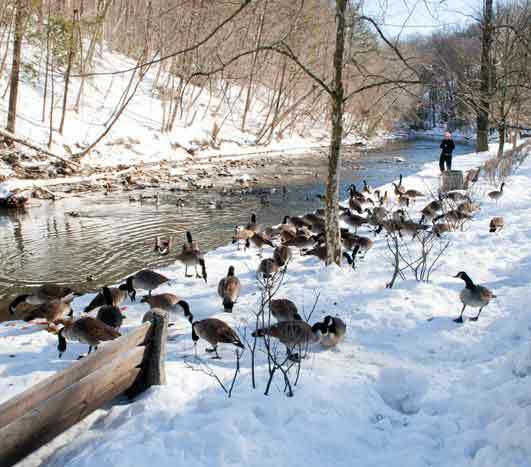 The geese and the ducks seemed unruffled by the cold, and were actively begging for any handouts passersby might have for them. 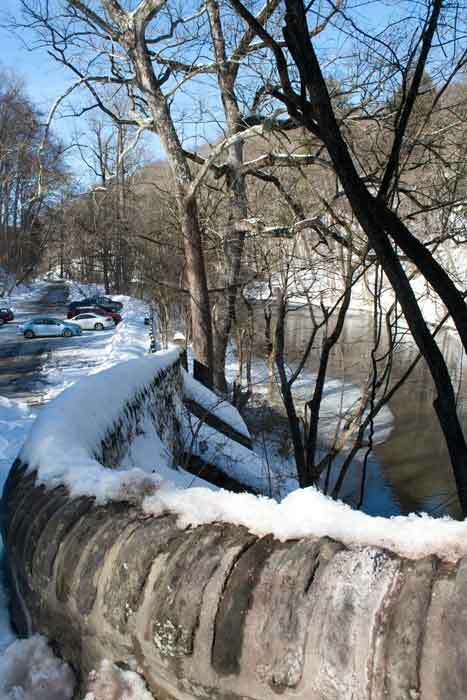 And the snow laid its mantle wherever a horizontal surface could be found, providing a bit of color here and there, all under a brilliant blue sky.